Reliable, Consistent sound reinforcement services for Shenandoah Valey Virginia, NOVA and DC Metro area events. Carl Neff Sound and Recording will provide you the highest quality professional reproduction for your live sound needs. Reasonable pricing with multi-group rates. Corporate and Non Profit events, Festivals. Musicians for Hire. 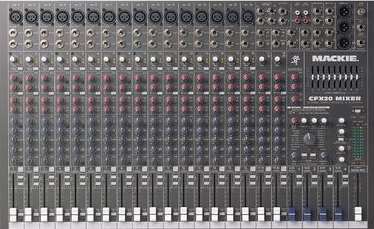 Sound Reinforcement for concerts, fairs, festivals, fundraisers, church events, and corporate conferences. Professional sound systems for audiences of 100 or 100,000. No event too large or too small. Over 15 years experience in sound design and engineering for hundreds of successful events including many of the largest history-making events on the National Mall in DC. I can help coordinate and direct all aspects of event production from permits to Porta-johns. Allow me the opportunity to provide the best possible equipment and talent for your next event. Featuring Music of the Shenandoah Valley, Central Virginia and the Blue Ridge. When you advertise your Shenandoah Valley business with Americana Rhythm you help support the musical talent of the Valley in which we live. Americana Rhythm magazine is great way to reach people. Summer is peak music festival time and we'll have tons of extra copies floating around at as many of these events. Additionally, we've increased our circulation to accommodate several new high traffic pick-up locations in Charlottesville. There's been an overwhelming response to Americana Rhythm. At many locations we refill the paper bin 3 and 4 times throughout the period. Don't miss your opportunity to have our readers see your ad. Our ad rates are very affordable. And, every advertiser gets a FREE link on our advertisers page for the duration of the ad run. If you are a USA Muscian then get networking! Ever been in an unfamiliar city, dying for a place to play tonight? Charlottesville Piano Company is one of America's oldest piano restoration companies. For three generations and nearly 100 years, the Shaw family has been rebuilding the finest vintage Steinway, Mason & Hamlin, and other fine grand pianos. "Thank you ShenandoahConnection.com I can directly attribute to our ad and new piano customers from new territories are presenting themselves to us weekly. Now several months later, we have advertised further with Shenandoahconnection.com affiliated Web pages." - Randolph Byrd, Charlottesville Piano.